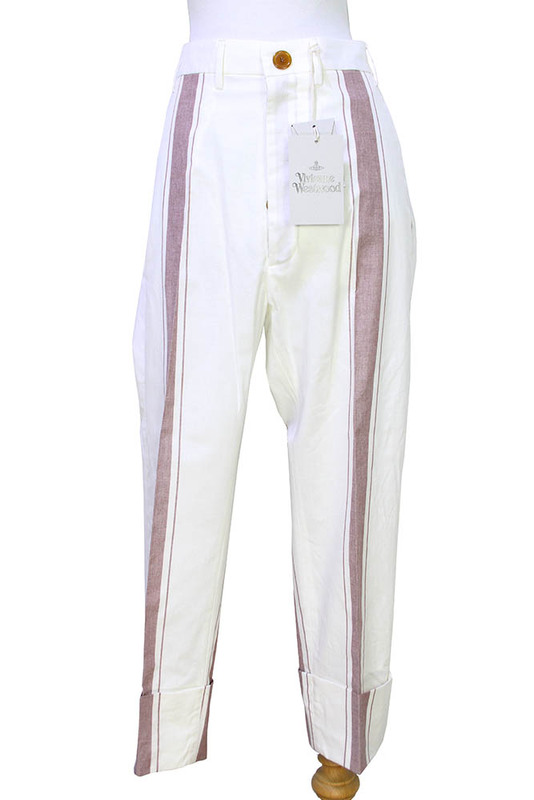 Vivienne Westwood Mainline JB Trousers in striped cotton. Belt loops. 6 button fastening fly with placket. 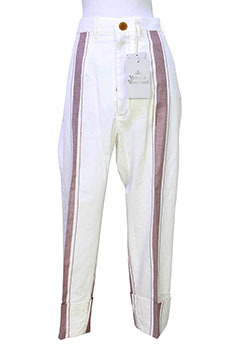 A central crease on the legs and large turn-ups, slim fitting. 2 side pockets and 1 rear pocket with button fastening. Inspiration taken from a classic striped tea towel. 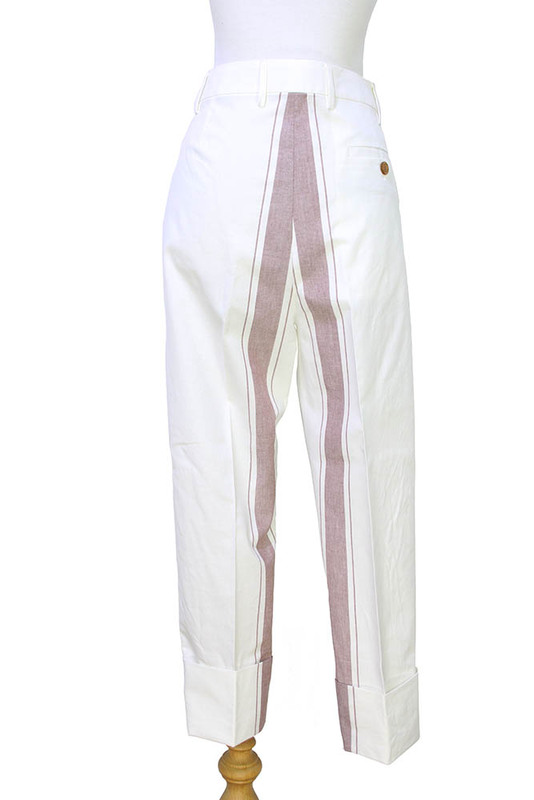 These trousers match the jacket in the same fabric to create and awesome Summer suit.